I really love it when a trip to the gas station ends with more than just the fear that I am going to have to sell my better-working kidney to get half a tank of gas. Well, this time I was pleasantly surprised to find a new flavor of Wrigley's 5 Gum while I was paying...and I of course snapped it up. 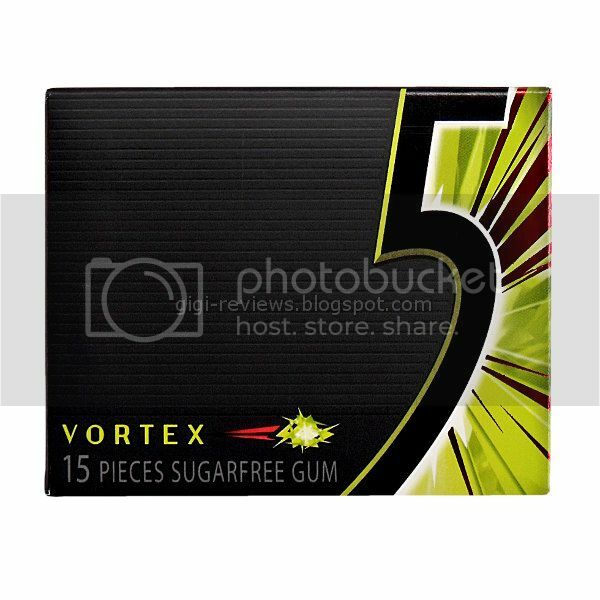 Vortex, the newest in the 5 lineup, is a sour green apple flavor. It also marks 5's return to a flavor that is simply gum with no gimmicks, no sizzling on the tongue, no reaction that makes you wonder which horrific corner of the Chernobyl sarcophagus it was dragged out of. Nope, just good old fashioned chewing gum. And ya know what? I can deal with that. The first thing you notice when you pull off the cellophane is the fact that the smell of fake sour apples can be detected two states away. I guess it could be worse, though -- I would rather have fake sour apple than, say, feet (my father, I think, has actually been banned by the federal government from removing his shoes ever). What's kind of odd about this flavor is that it wears off super fast. I'm talking about somewhere around the five minute mark, at best. As the fake apple wears down, the note that lingers is purely floral. Almost like a rose flavored gum, but not as strong (or as good). If you hold the gum in your mouth without chewing for a minute or so it does "recharge" just a bit, but it's not the same. I dunno what else to say, really. 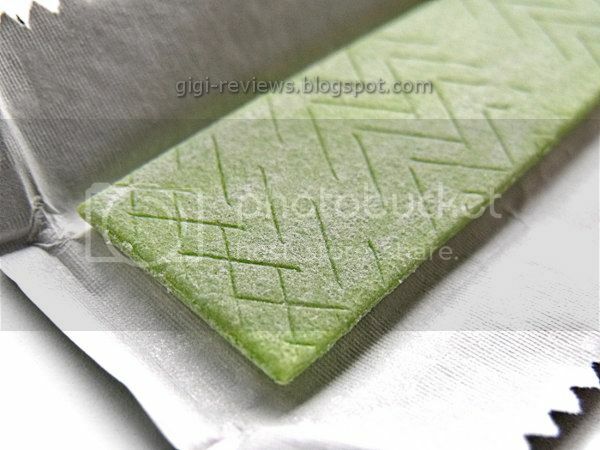 I wanted to love this gum because the 5 line is a favorite of mine, and I like green apple regardless of whether it tastes natural or not...but somehow this gum just falls flat. Kinda sad, really. Oh well. 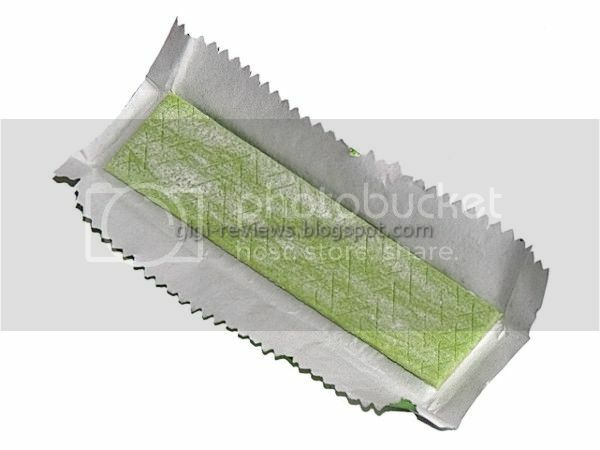 I agree this gum is too sour.